Here are some attics where this sophisticated color was used. 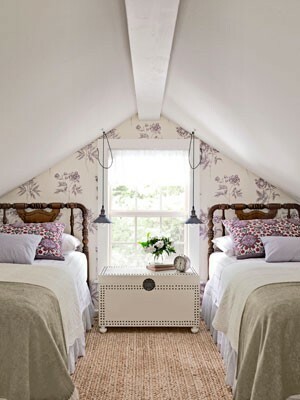 Light purple, beige and white are combined to form a country styled guest bedroom (houzz.com). Purple and white in an airy bedroom suite. A brave combination of purple and red create a vibrant room (imgfave.com). Dark Purple and white always create a clean yet dramatic room (imgfave.com). 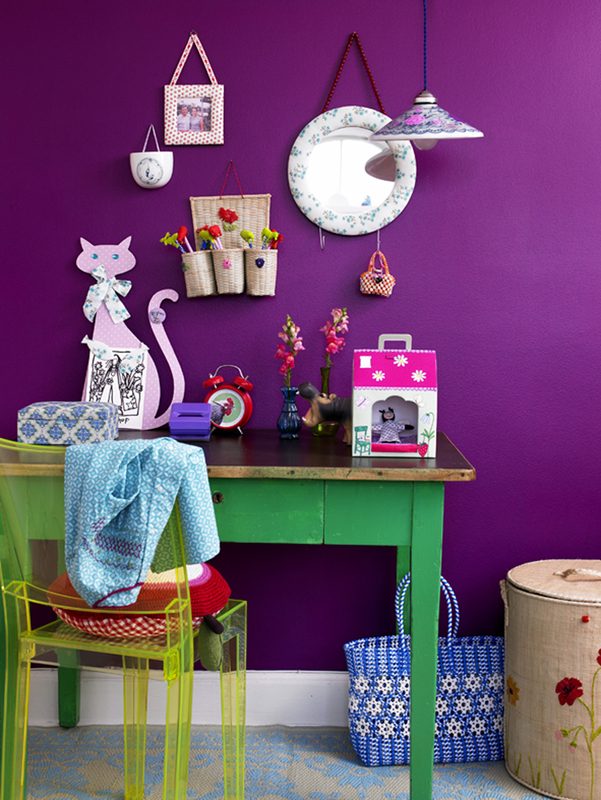 OMG - look how fab is the combo of dark purple and lively green (imgfave.com). 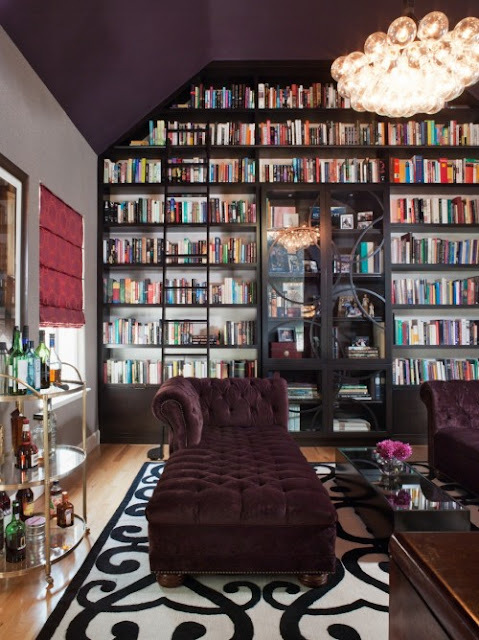 Dark purple as a backdrop for a library, by Lizette Marie Interior Design (houzz.com). So unexpected and over the top stylish. One accent wall in purple make a dramatic statement in the room wihout overwhelming the eyes. Notice the decals.